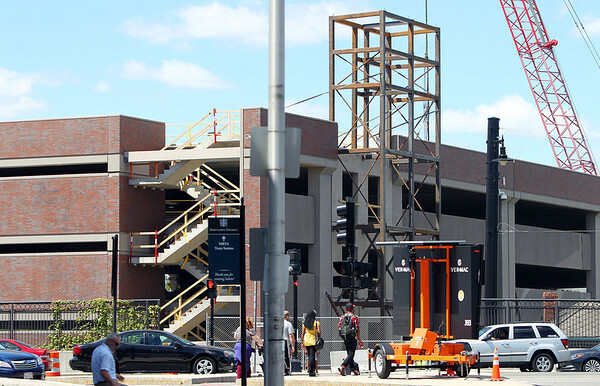 Work on the new parking garage at the MBTA Commuter Rail Station in downtown Salem is progressing at a rapid pace and the structure easily rises above street level as seen from Washington Street. DAVID LE/Staff photo. 6/20/14.